Started 3 years ago … And look where we’re standing now! 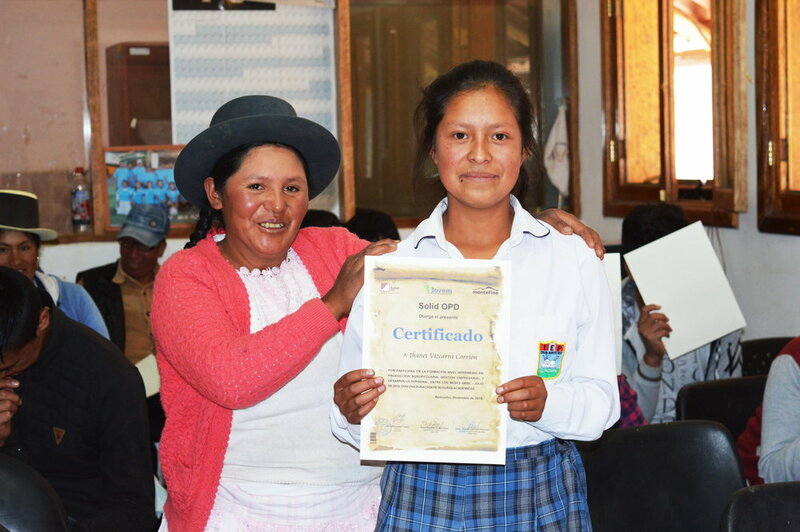 3 years ago … we started the Jovem project: an experience oriented agricultural training for enterprising youth in the Ayacuchan Andes in Peru. In this training they learn agricultural technical skills like entrepreneurship and business management. In addition, we also work on the personal development of the kids. Jovem gives young people the chance to learn to be able to build a better and sustainable future in the countryside. After the first year with Jovem the Peruvian team already had enough experience to continue the project on their own and I returned to Belgium. I fact, the youngsters don’t do this alone. They draw their family, parents, brothers and sisters into this. They pass their knowledge and experience on and turn it into a family business. And what with the profits? Many amongst them invest these in their future and follow a preparatory year to study at the university or they even already study at the university a.o. as agricultural engineer. Given the low level of education, the limited financial resources and the often low self-esteem that’s not an obvious step for young people from the countryside. And what's even more exciting, they also let other young people dream. Last year at least 1500 pupils from the city came to visit the Montefino farm and the Jovem project. They also looked at the small enterprises of the youngsters. Our once so shy and introvert youngsters now explained full of pride how they run their business, what successes they achieve but also the obstacles they encounter. Many of the visitors went home with a lot of ideas and much hope. Our first youngsters have developed into confident, innovative and initiating farmers. What used to be an unattainable dream for them, is now reality! This project has an incredibly greater impact than I ever dreamed! Newer PostEmiel De Baere: Who is he?